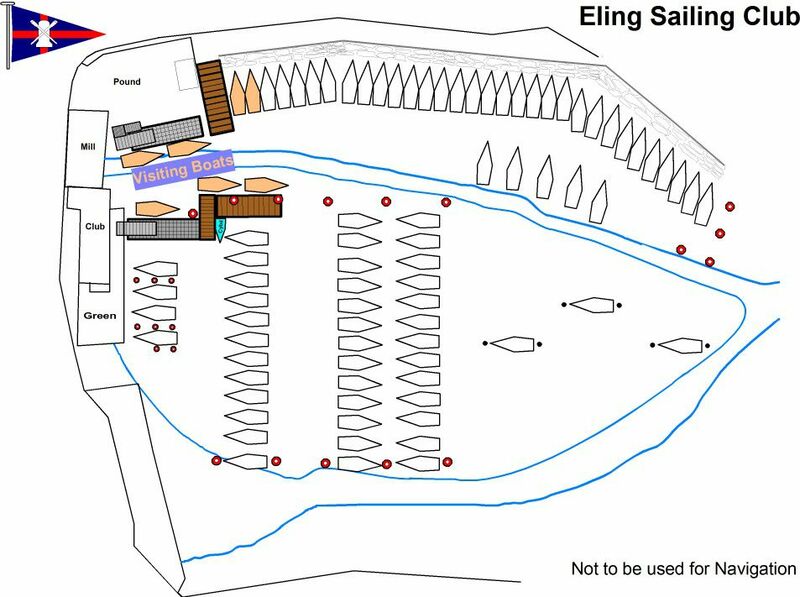 Eling Sailing Club welcomes visitors by land or sea, and as Eling Creek can be tricky these following pictures are a guide to help you find you way to the pontoons. If visiting by road follow the Brown tourist road signs for Eling Tide Mill, Eling Sailing Club is situated in half of the mill building. 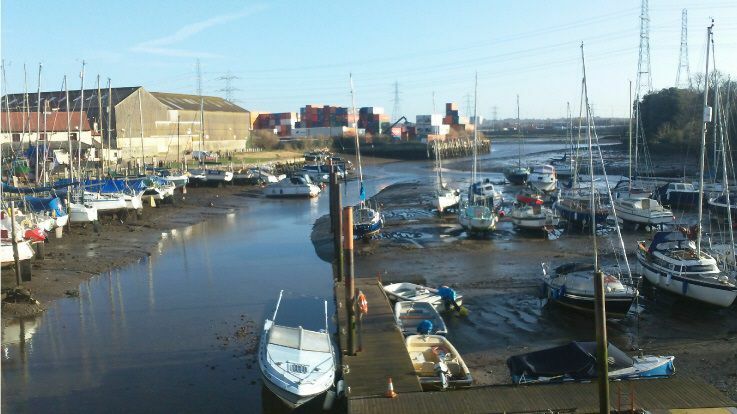 Eling Sailing Club is situated at the head of Eling creek off the Test estuary at the head of Southampton Water. 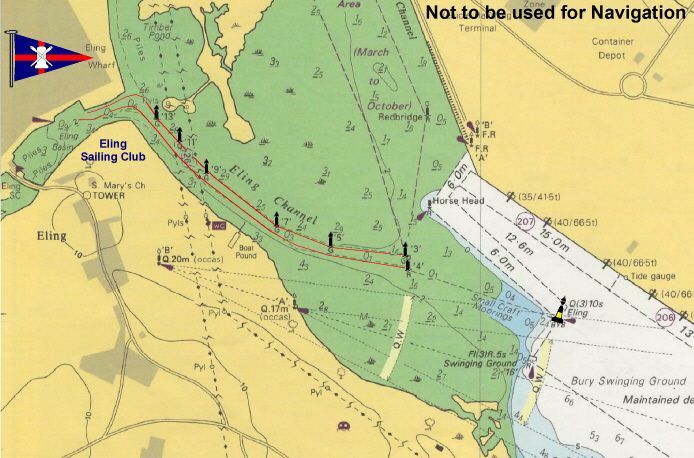 1° 27.844’ W. From the Cardinal, on a bearing of 111° and a distance of 0.2NM is the entrance to the Eling Channel. The channel entrance is marked with two posts, red can and green cone. Follow the channel in, maintaining a distance of approximately 2 meters from the posts passing them on your Starboard side. 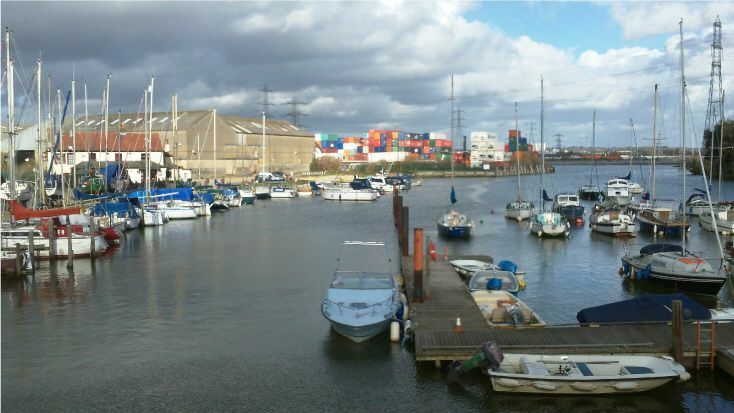 As you approach the bend in Creek turn to Port and stay about 3 meters from quay wall (beside containers). You will see a slipway to starboard, and some parked craft, aim to pass astern of these with about 2 meters clearance. Ahead there’s a post with a tidal gauge, pass this to Port. Ahead you’ll see the Tide Mill and adjoining Club House, the visitor berths are immediately in front of this building. As a general rule of thumb, access for a 1.2m draught boat the tide needs to be above 3.5m chart datum. There is electric hook up (electric cards available in the Club House during bar opening times), water and Wi-Fi available. Club House and bar are open Tues and Fri 20:00 – 23:00hrs & Sat 13:00 – 16:00hrs. Visitors overnight fees are £5 a night or by prior arrangement with the mooring master £50 a month if space available.